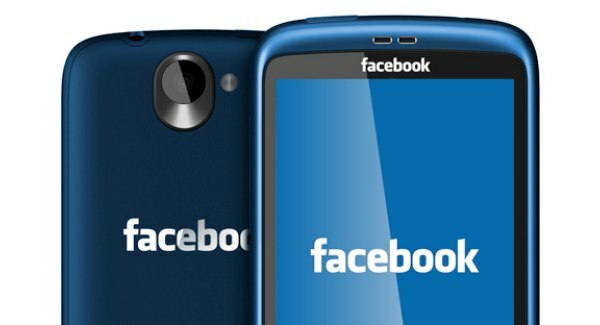 Rumor has it, that Facebook is planning on making their very own Smart Phone by next year. FaceBook has already hired more than half a dozen former Apple software and hardware engineers that have helped come up with the brilliant iPhone and iPad, to help them with their plans for the new Smart Phone. It turns out this isn't the first report of the new Smart Phone. In 2010, Tech Crunch reported that FaceBook was looking into making their own Smart Phone and late last year we heard from AllThingsD that an unidentified phone was being tested, which was code-named "Buffy". Recently, we found out that "Buffy" is the new FaceBook Smart Phone. There are many FaceBook operated apps like the new FaceBook camera, but Mark Zuckerberg claims that he doesn't want FaceBook to be a bunch of apps. HTC came out with the HTC Status last year, which was partially dedicated to Facebook, but it appears that it still doesn't suit Zuckerberg. FaceBook has partnered up with many famous applications like Draw Something and Pinterest, so there will be the best games they can possibly get. This phone has its appeal to the avid facebookers, but to everyone else's appeal, well we are not sure. You can still go on Facebook on the iPhone, Android, and pretty much about every other smartphone, so that is the downfall of this soon to be smartphone. I would be very surprised if the FaceBook Smart Phone was on Sprint, Verizon, etc. because the HTC Status and iPhone originally started out with AT&T and then worked it's way to other carriers. Will this new invention be a success? We will just have to wait and see for ourselves. At&t has been a huge part of Facebook's early phone models, but will they support this new phone? Questions to ask Facebook would be why this? There franchise has expanded to be on almost every smartphone on earth, but Facebook cannot just pull all other phone users Facebook away. They would need a new way of communicating, like Google's Nexus, designed to be exactly for Google+ and Android. Facebook's previous models have been android, but will Facebook pull its own operating system out of the mess they already created? Samsung created the Nexus, but will HTC create so called Buffy?